Dynamic makeup artist, Maryam Maquillage, showed why she is a makeup guru favorite once again. 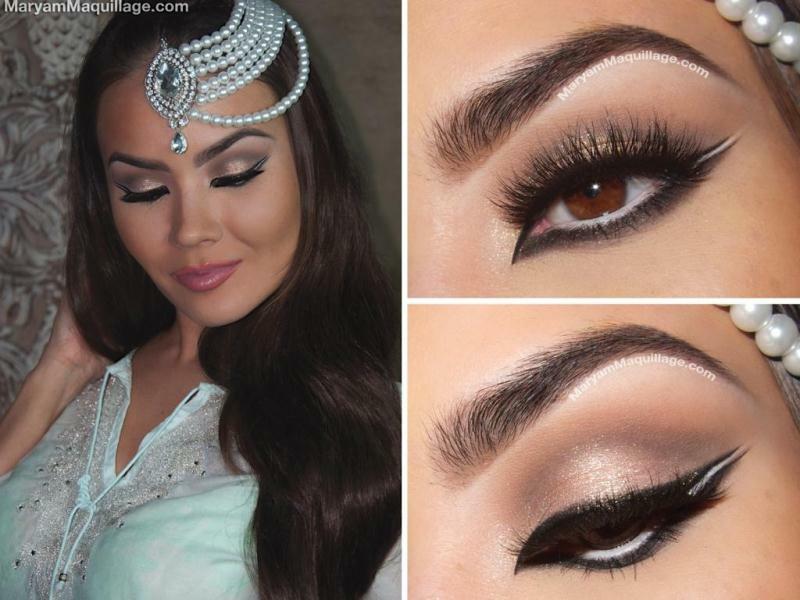 On her blog, maryammaquillage.com, Maryam created yet another amazing look which she entitled, “’Wintry Exotic Arabic Makeup Tutorial”. Although winter will be over in 4 days, (Spring begins March 20th, 2014) nothing says that you can’t leave the winter season without a bang! In the tutorial she shows you step by step how to create the flawless look with great images and easy to comprehend instructions. By the way, if you are curious, to know where she got that awesome pearl headpiece, it was from Jewels N Gems Luxury Dezyre. Below are the products that were needed for the eyes. For more detailed instructions and images visit here. What do you think of the style? Will you be trying? This entry was posted in PearlsOnly Blog and tagged beauty, fashion, makeup, Maryam Maquillage, pearl, tutorial, Wintry Exotic Arabic by PearlsOnly Team. Bookmark the permalink.